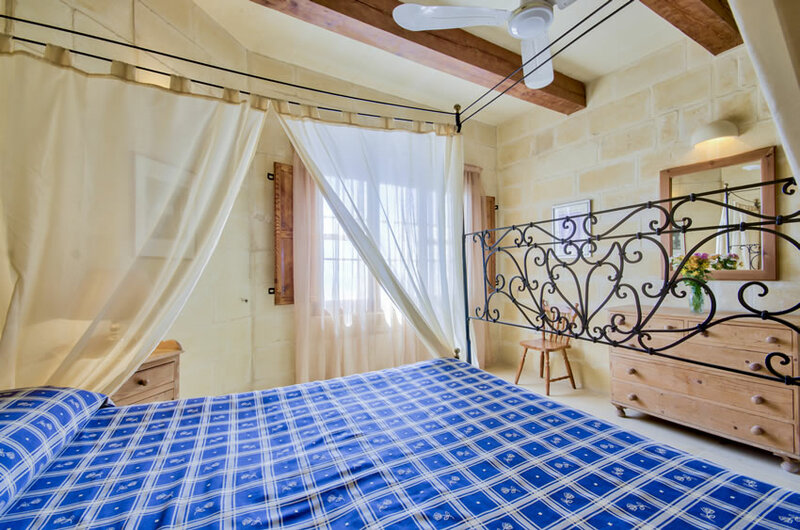 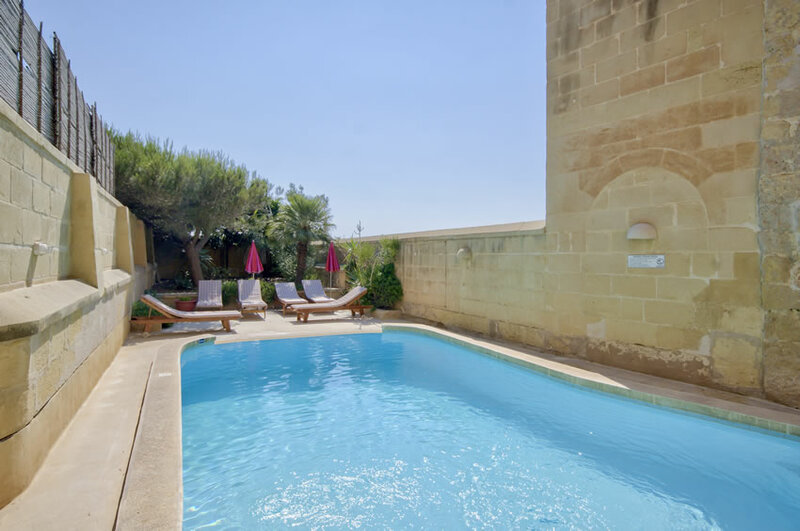 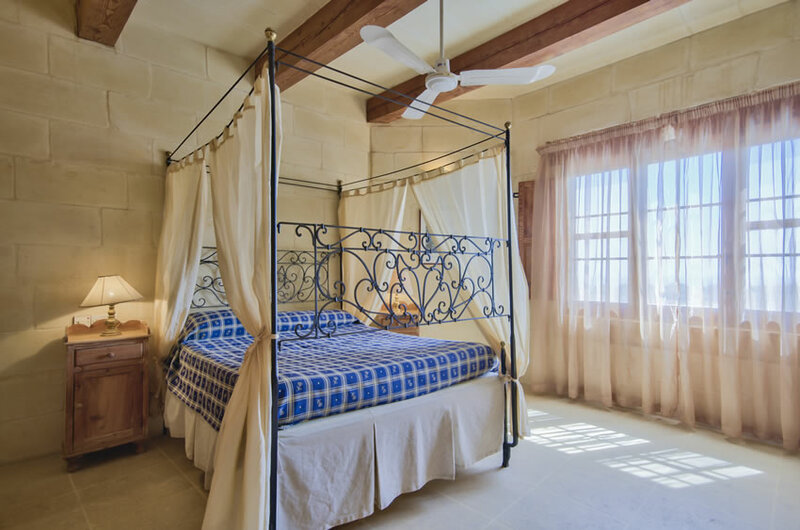 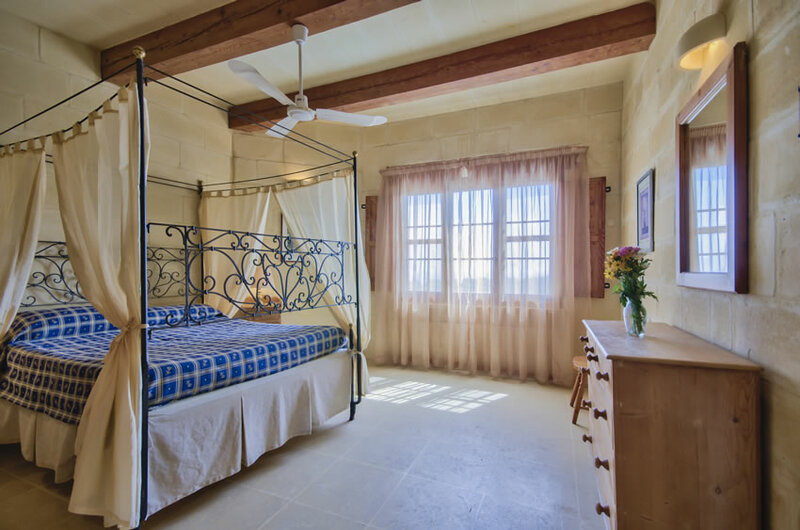 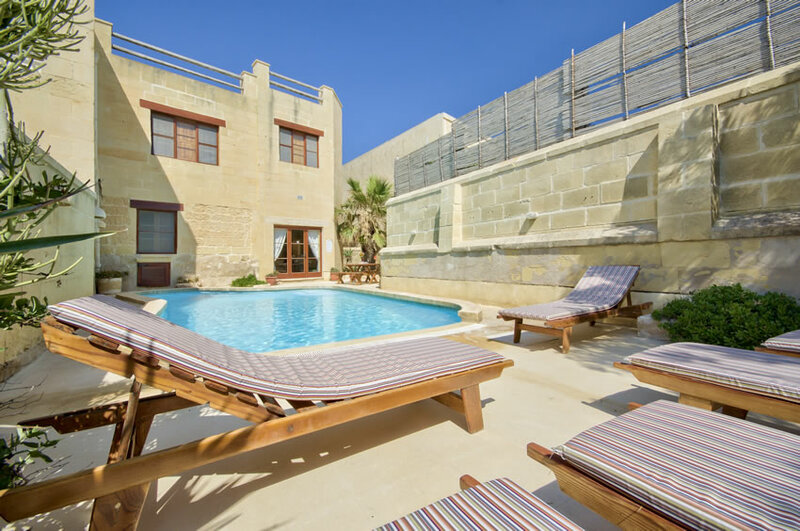 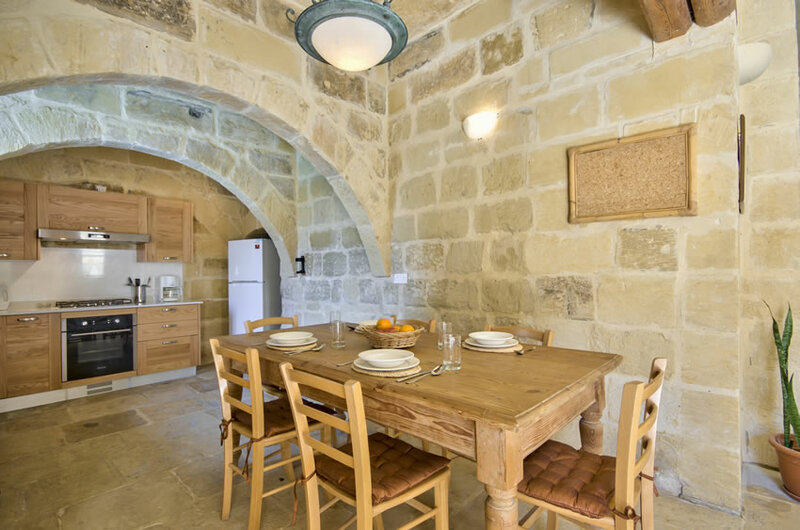 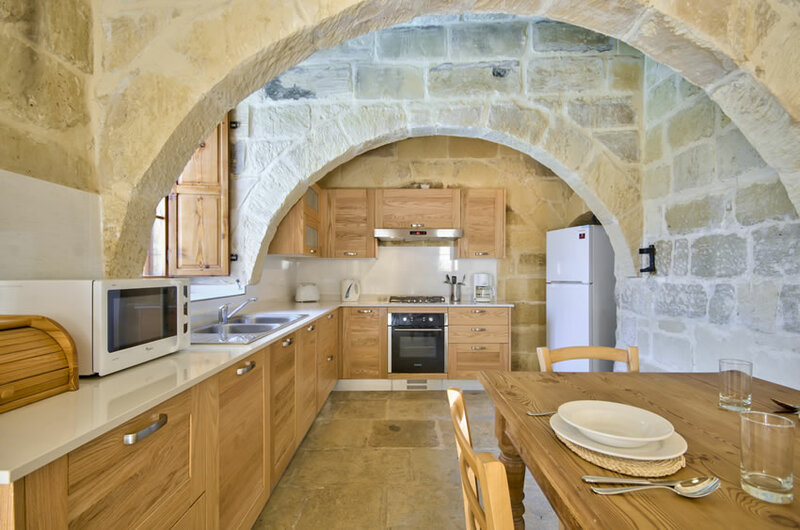 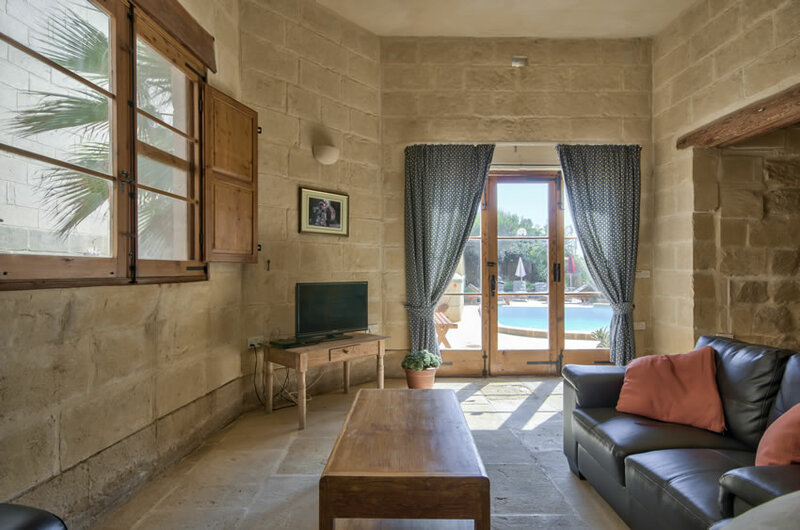 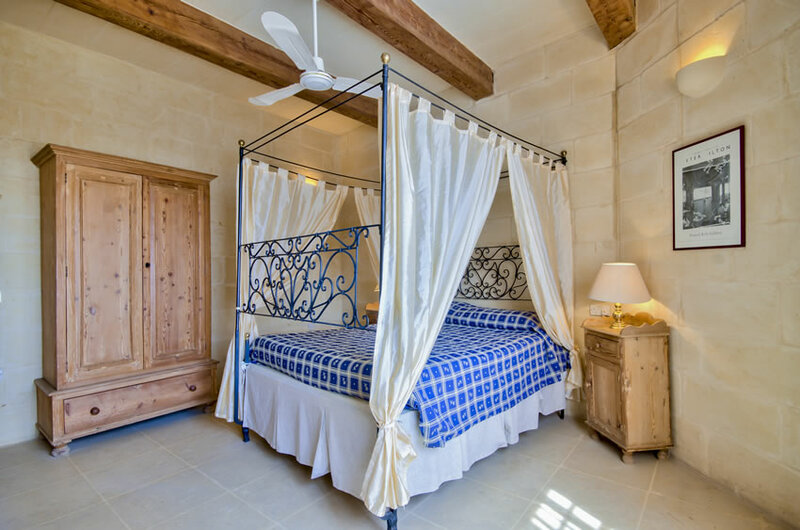 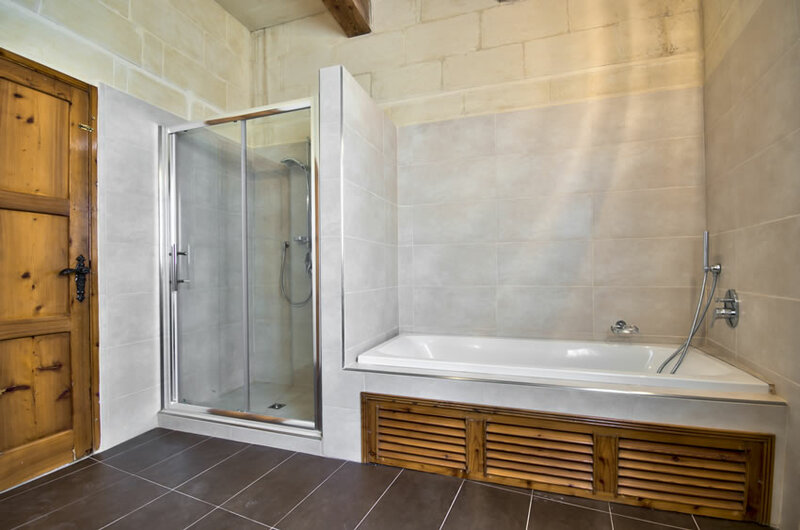 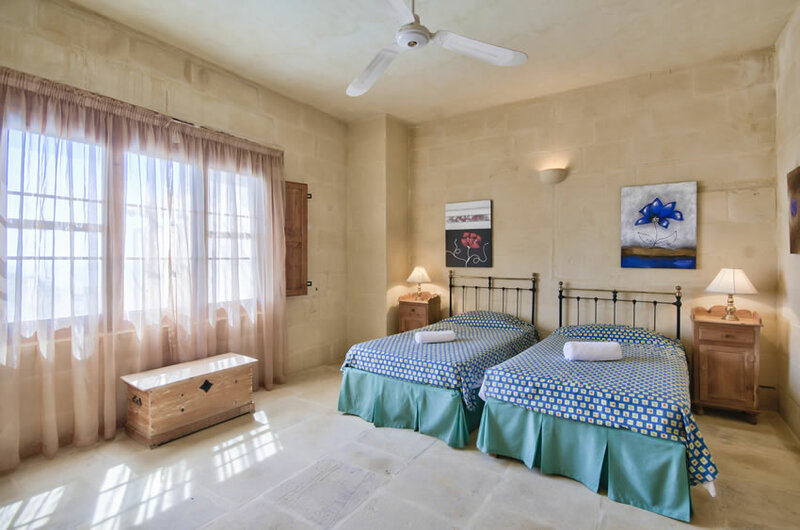 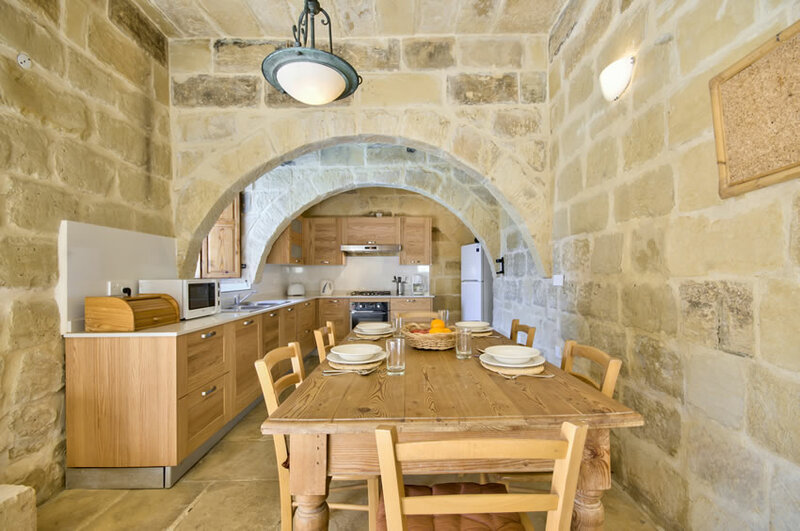 Located just outside the village of St. Lawrence on the quiet western side of Gozo, this farmhouse is next to Farmhouse Nera and Farmhouse Rosa and have views from 1st floor over open countryside towards the sea. 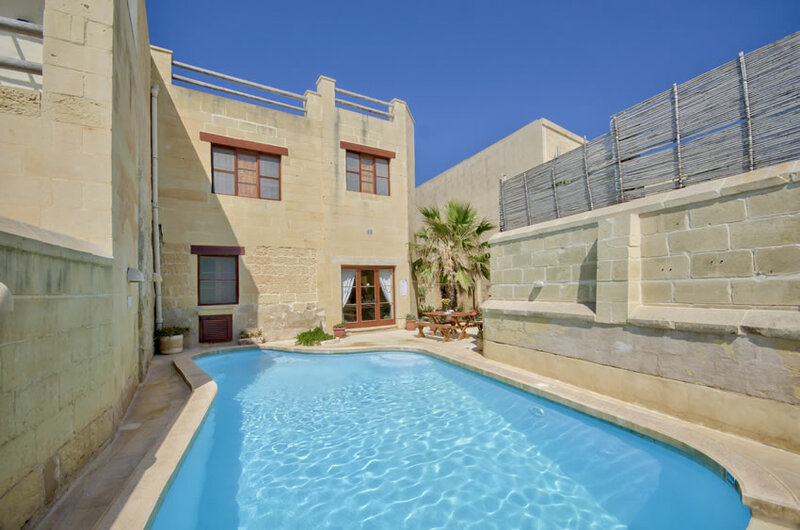 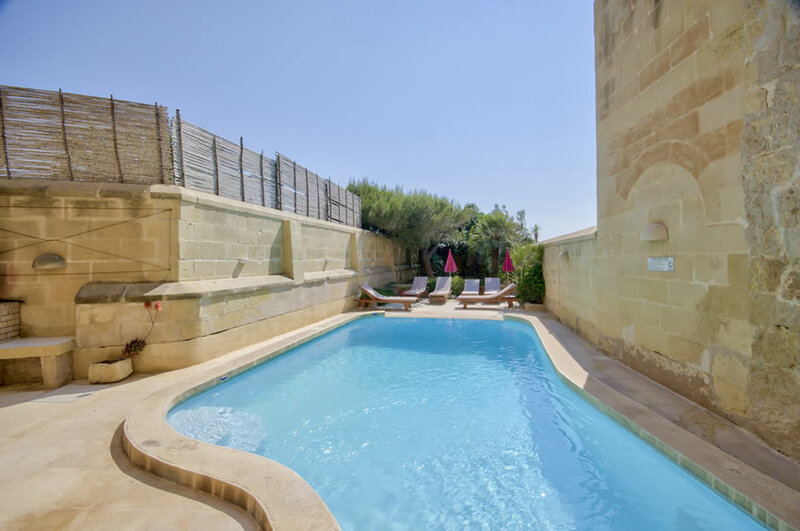 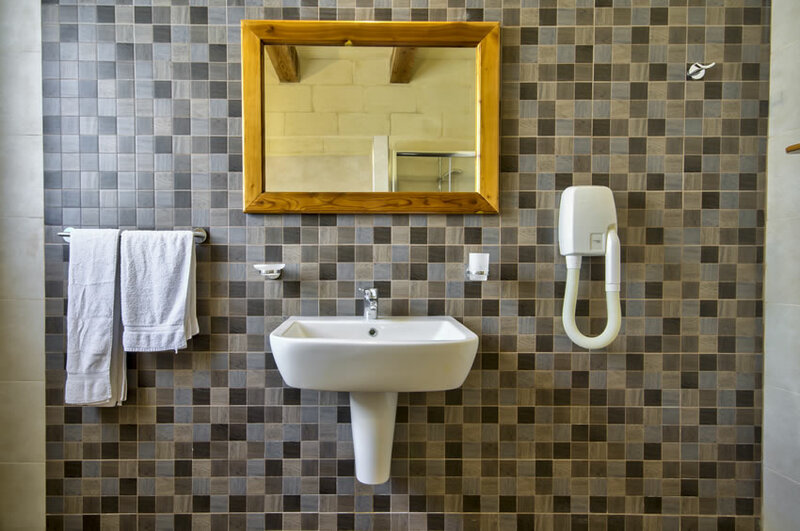 The original building was a large farmhouse and extensive renovations were done to convert it into three comfortable houses each with its own private swimming pool. 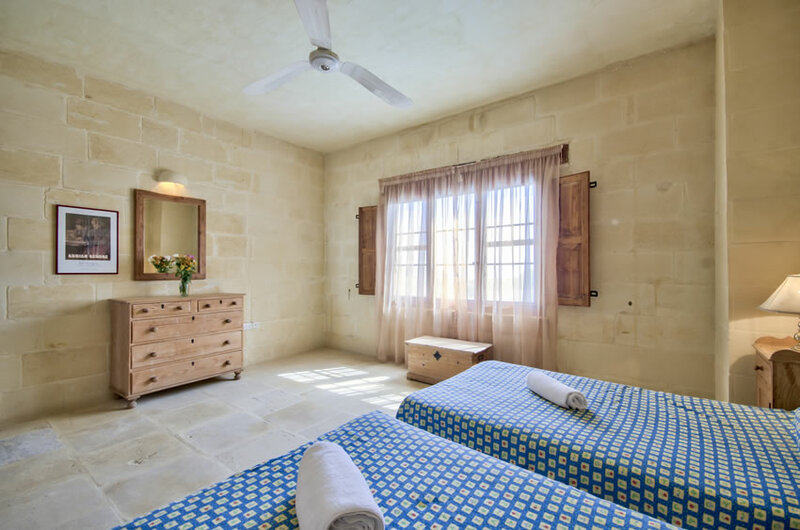 The houses are located on a country road which runs between St. Lawrence and Gharb. 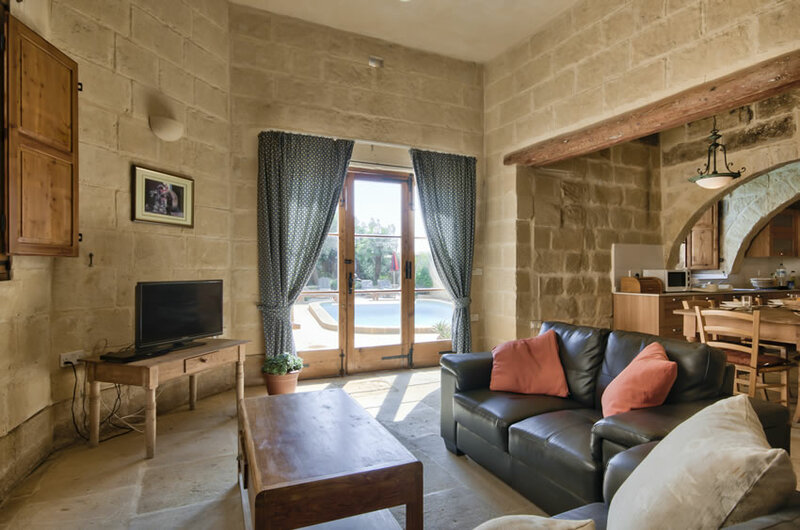 Ground floor: open plan kitchen with dining / sitting area, 1 twin bedroom plus bathroom with Jacuzzi bath. 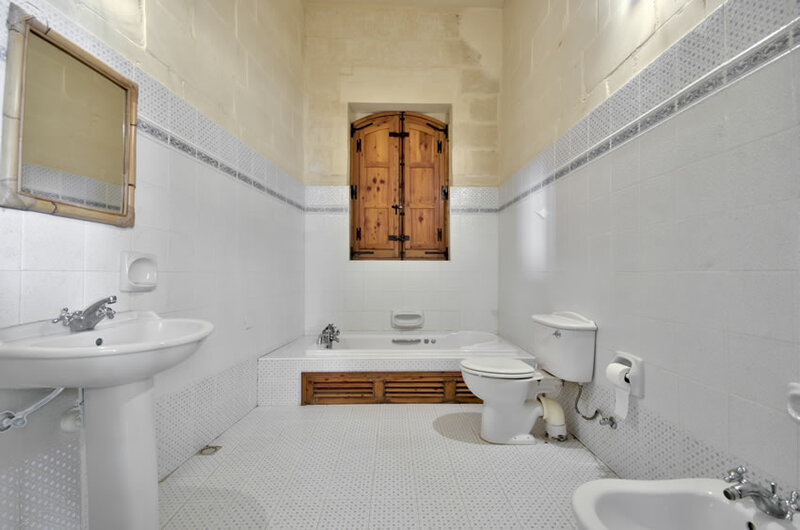 First floor: 1 twin bedroom and 1 double bedroom (With antique 4-poster bed), 1 bathroom with Jacuzzi bath. 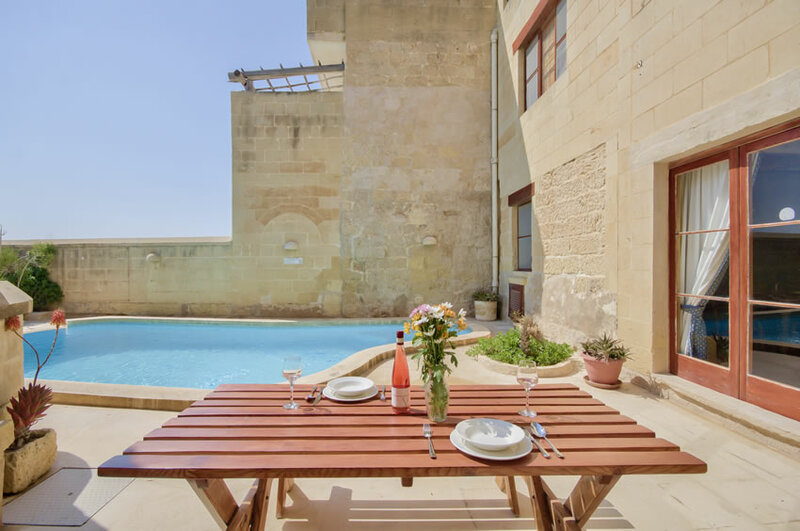 Large rear terrace with views over Gharb. 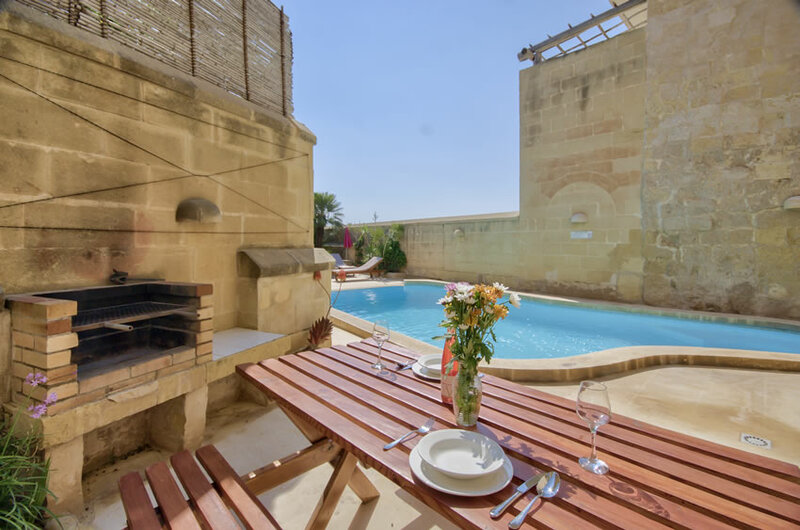 Outside terrace and swimming pool , garden area with BBQ. 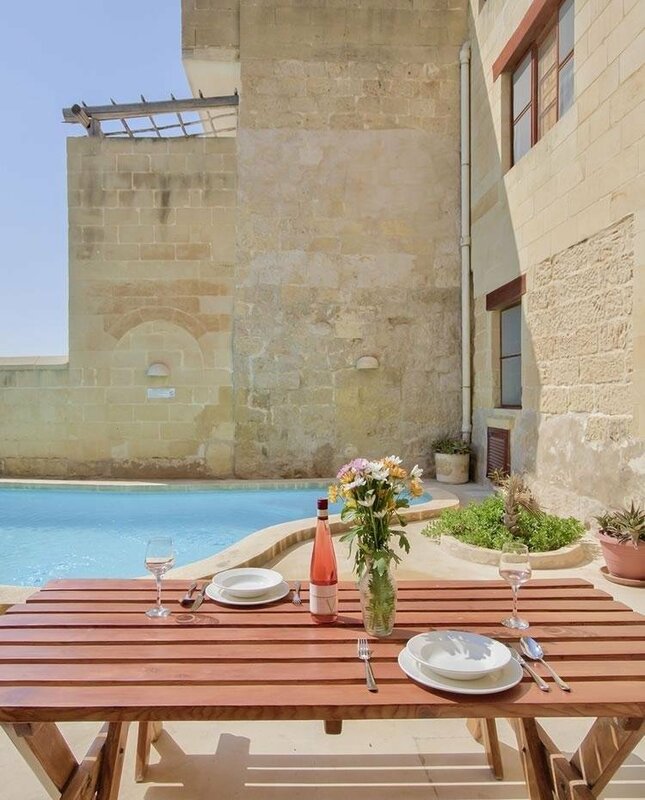 Drive-in car port. 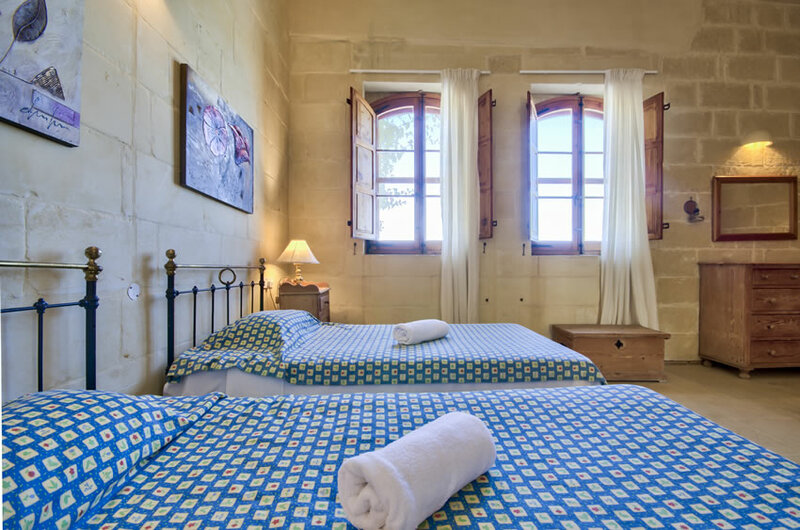 Maid service and change of linen twice weekly.